If you are a fan of easy breakfast foods, don’t miss these new Kellogg’s Coupons. You can save on pop-tarts, Special K, Nutri-Grain bars, and more. 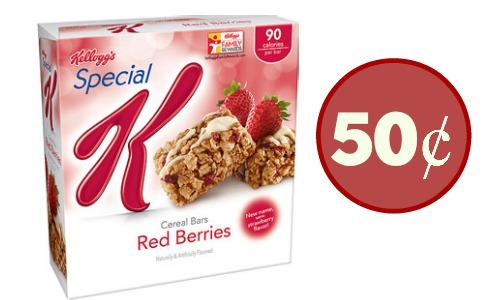 There will be a great deal on Special K bars starting Wednesday or Thursday at Publix (depending on your area). Looking for other deals? You can use the item search to find whatever you need.